DESCRIPTION Bright and modern new home in Bowness with open-concept living area and thoughtful upgrades! Chef’s kitchen showcases white quartz countertops, two-toned cabinetry, eat-in island and upgraded Whirlpool appliances including GAS stove. Living & dining rooms are open to the kitchen. Gas fireplace w/ tile-to-ceiling feature wall will surely impress. Mud room w/ built-ins leads to SW-facing yard with concrete patio and double drywalled garage. On the upper level are three bedrooms, full bathroom and laundry room w/ sink. The master suite features a luxurious ensuite with upgraded HEATED floors, JETTED tub and spacious walk-in shower with rainfall showerhead. Built-in speakers in master bedroom and main level each with their own zones. Basement is unfinished with rough-in for bathroom, space for 4th bedrm and rec room with bar. Plans available and builder can finish the basement (negotiable). 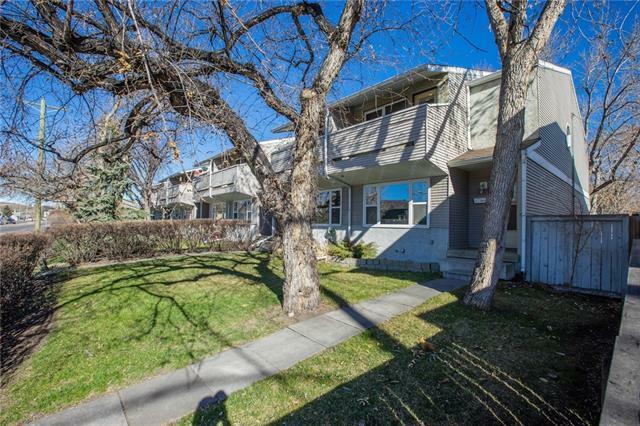 Developed street near schools and excellent access to Stoney Tr and 16 Ave.
Home for sale at 4347 72 ST Nw Calgary, Alberts T3B 2L1. 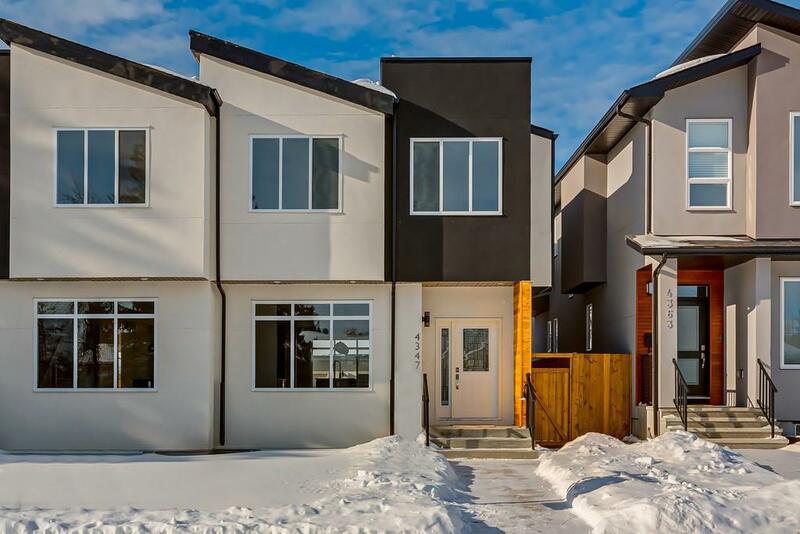 Description: The home at 4347 72 ST Nw Calgary, Alberta T3B 2L1 with the MLS® Number C4232603 is currently listed at $549,900.